You might recognize this cover BUT NO LONGER! 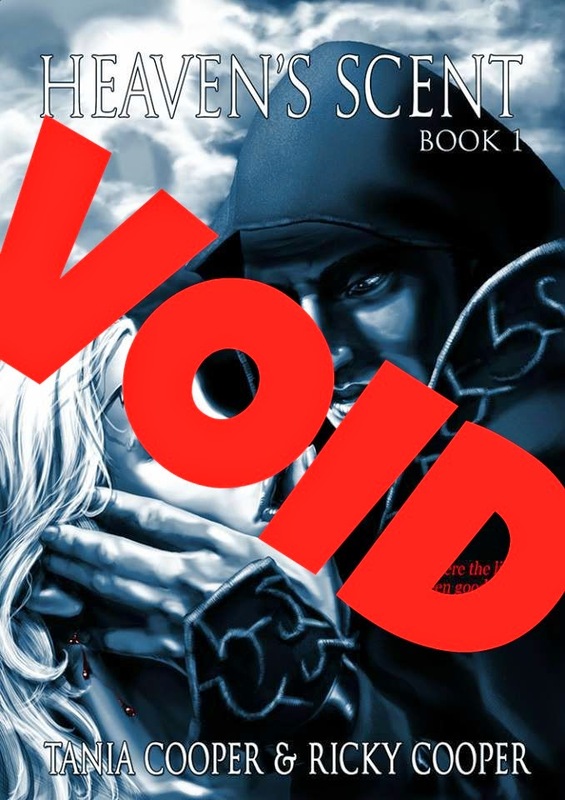 What comes to pass when good and evil collide, when the fate of two worlds hangs by a thread? When the dust settles and the smoke finally clears, the victor will decide all. The fate of man. The fate of the heavens. The very universe will be shaped by their hand. But through it all, a deeper struggle wages, the fate of two people; an Angel and a Demon, two halves of the same coin drawn together by a forbidden connection, fate intertwined by design but held worlds apart. Bound by love, bound by honour, and both shackled by duty. Fated by the creator to sit at the crossroads of a war that tears their worlds apart. Can their sinful love truly conquer all? Will they catch the scent that lingers and find the ties that bind even the deadliest of enemies. Lines will blur and hearts will shatter. In a battle of good versus evil not everything is always black and white, for even in heaven, shades of grey abound. Teasers? I got those!! Not suitable for younglings.. Whoa...This makes 50 shades seem tame..
And it has a YouTube trailer! Check it out! Check it out on Sale for .99 cents! A Forbidden love story for Valentines Day perhaps? 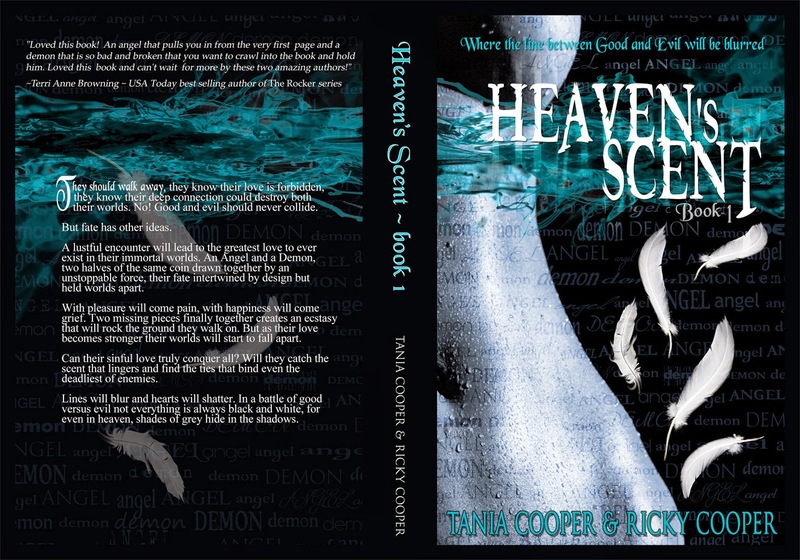 Heaven's Scent is available for purchase at these links! AND THATS NOT ALL!! A GIVEAWAY!! Yes! Thanks to the amazing authors they are letting me do a giveaway for this book! All you got to do is head over to Heaven's Scent Facebook page... tell them The Reading Chameleon sent you and come back here and comment below with your like number and you know say hi.